>>Where is God calling me from here? >>How can I make a difference in the world? >>Is church planting in my future? Designed and led by the Northstar Church Multiplication Center — a group of pastors and church planters associated with the Conservative Congregational Christian Conference (CCCC) in the Upper Midwest — ﻿The Call﻿ is the beginning of a conversation of discernment. The Call is a one day seminar for men and women exploring a call to church planting. You will learn about church multiplication in the CCCC, begin processing self-assessment inventories, apply those results to church multiplication, and continue the process of discovering where you fit and flourish in ministry. The Call is coming to Bethel Seminary in St. Paul, Minnesota. Helping men and women discover where they will best “fit and flourish” in ministry. Cherishing and wisely placing the leaders God entrusts to us. Emphasizing church multiplication as one of the most effective ways of making new followers of Jesus. Making God’s name known and give him great glory. Senior Pastor, Brookwood Community Church (Shakopee, MN). Stetson University (BA, 1992), Princeton Theological Seminary (M.Div., 1995), and Fuller Theological Seminary (D.Min., 2012). University of Minnesota (BA, 1989), Fuller Theological Seminary (MAT, 1995). Outreach and Student Ministry Pastor, Brookwood Community Church (Shakopee, MN). 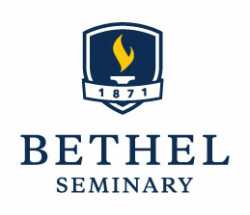 Bethel University (BA, 2009), Bethel Seminary (pursuing M.Div., 2016).